Caption : Kochi,15/05/10. 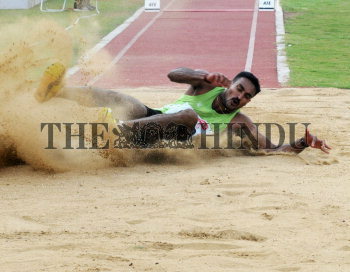 Railway's Renjith Maheswary, who who won the men's triple jump at the 50th National Open Athletics Championship 2010 in Kochi on May 15, 2010. Photo: H.Vibhu.